The Titanic Visitor Centre in Belfast is a very popular tourist attraction. Between 2012 - 2015 it attracted 1.9 million visitors — that's more than the population of Northern Ireland. As a piece of architecture it raises all sorts of question; I'll maybe write a separate piece on those. But, I do find the whole concept a little strange. One the one hand, a kind of expensive shiny Disneyland for disaster. On the other, it tells an important story from Belfast's history. 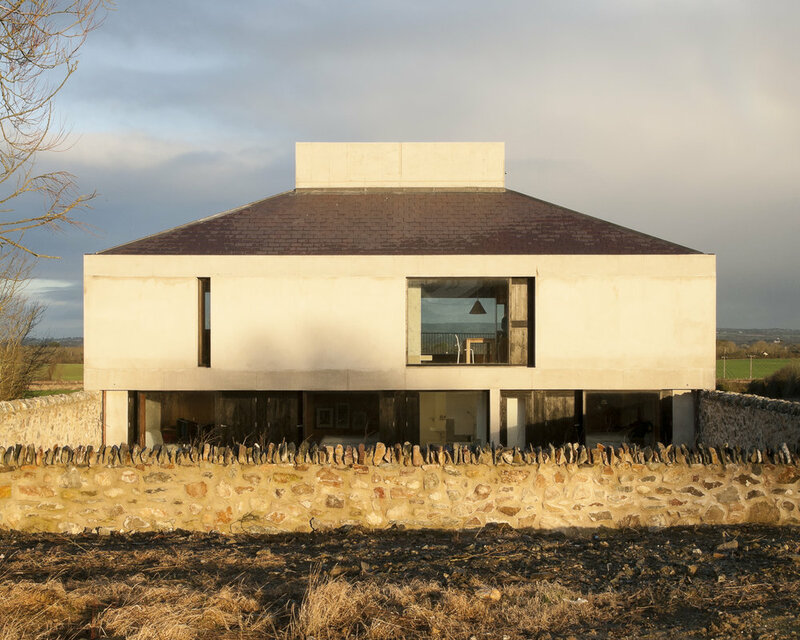 Brief thoughts on Irish Architecture, Gender Balance and 'the North'. It was such a privilege to meet some of the amazing young architectural practices that are working across Ireland at the moment. There are, of course, so many other practices that could have been included — it really was very hard to choose who to include, so I asked a number of respected voices in the profession for their thoughts which was really helpful. Perhaps one slightly disappointing thing for me is that I had planned for there to be a 50/50 gender balance in the article. Unfortunately some of the practices I asked for interview, that would have made this possible, declined to be part of the piece. That being said, three of the practices (TAKA, AF and Carson & Cruschell) all have female founders. I also noticed that all of the practices seemed to have about a 50/50 gender balance in their staff. I had also hoped that we could have more representation from practices in the North. But, again, those that I did contacted either didn't respond, or declined. A real shame as there are a small number of practices in the north doing great work — although I have to say that in the south there is a much more developed and vibrant architectural scene. I plan to write a lot more about Irish architecture over the coming months, so any suggestions, or practices who would like their work written about can get in touch with me via the contact page. Urban Regeneration with Deleuze & Guattari — An interview. The work of Philosopher Gilles Deleuze and Psychoanalyst Felix Guattari is complex. I’ve been reading them for years and feel that I am still only beginning to scratch the surface of their ideas. But the more I have engaged with their work, the more I have become convinced of the importance of their work for urban theory and architecture. I recently interviewed Dr Hélène Frichot for an article I am writing. Hélène is an Associate Professor and Docent in the School of Architecture, KTH Stockholm. She is the director of Critical Studies in Architecture, and the Director of Research Studies in the School of Architecture, KTH. Along with Catharina Gabrielsson and Jonathan Metzger she edited the book Deleuze and the City. The future success of the urban environment of Belfast city centre depends on how successfully the city navigates the next few years. The city is entering a crucial phase — the fourth of three critical phases in its planning history. There have of course been many crucial phases in Belfast’s planning history; to reduce them four would risk reductionism. Nevertheless these phase have had an unusually significant impact on the city and warrant being mentioned. Our studio is in a converted mill just of the Falls road in Belfast and we really like the space. We worked out of this mill before, and knew the quality of spaces that were in here, and we wanted a space that was filled with light . It’s about ten minutes walk into town so its a great location. You know, there’s such limited quality space in the city, so much horrible spec office stuff, which would just be horrible to sit in day in and day out…and the location is in a part of the city that we want to engage in, the inner city and the issues that are associated with the inner city. We are working in Belfast by choice. Most of our fiends are not, they’ve heading off, during the recession, and theres a reason for that but we are optimistic by nature, we feel that Belfast’s time would come soon, we thought it would come five or six years ago maybe ten years ago, it still hasn't really came the way we see it, but we still have faith that something positive will happen here, and we want to be involved with that and want to be part of it. This is where we live, its where we are raising families, this is our home.